In mid-July, Unicredit finalised a deal for Pimco and Fortress to buy a €17.7bn portfolio of their non-performing loans. The deal was the latest piece of positive news for Italian banks, following the completion in June of rescue deals for Monte dei Paschi di Siena, and regional banks Veneto Banca and Banca Popolare di Vicenza. While sentiment in the region is improving, European banks remain under significant pressure from regulators to improve their balance sheets and their capital ratios. Decreasing their holdings of risky assets is one option, however another solution is becoming increasingly popular – Capital Release Transactions. These deals involve non-bank investors underwriting losses on portfolios of bank loans, reducing the capital that regulators require the bank to hold against them. This improves the bank’s capital position and frees up funds to onward lend. In return, the non-bank investors receive a coupon linked to the bank’s cost of capital. The following ARP Observation provides further insight into this investment strategy, known as Regulatory Capital Relief (or Release), the drivers of the opportunity, the attractive elements of the strategy and some of the key risks to consider. Banks have found themselves under increasing regulatory scrutiny post-financial crisis. 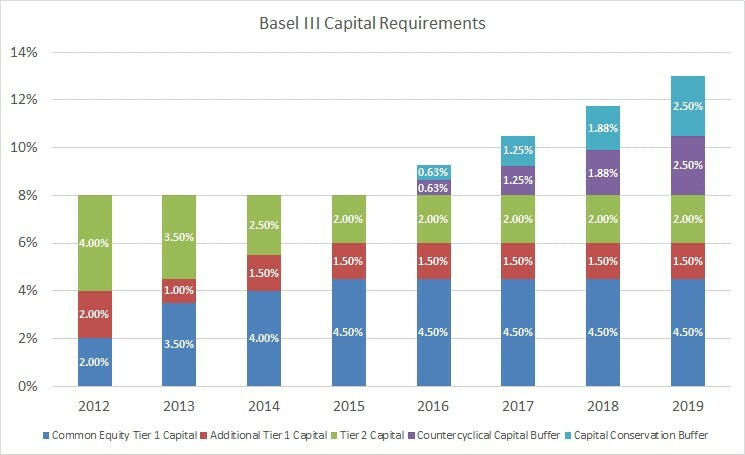 With banks having to meet Basel III capital adequacy requirements by the end of March 2019 (Exhibit 1), and more stringent “Basel IV” refinements likely to follow in the near term, banks are under significant pressure to reduce their risk weighted assets, to increase their capital buffers and to further improve their Core Tier 1 capital ratios. The pressure is most pronounced in Europe, where banks are generally less well capitalised and have lower Tier 1 capital as a percentage of assets than their US counterparts. Source: The New Basel III Framework: Navigating Changes in Bank Capital Management. PwC’s FSI. October 2010. ARP Research. In having already exited legacy, non-core, capital intensive businesses post-crisis, Capital Release Transactions (CRTs) represent one of the remaining options for banks to improve their capital bases without exiting business they wish to retain, or raising additional capital. The CRT market is increasingly proving an attractive option for banks, and there have never been as many issuers and as broad a range of deals as there are today. What is Regulatory Capital Relief? Regulatory Capital Relief is an investment strategy whereby investors underwrite losses on portfolios of banks’ loans. The transactions that they structure transfer the risk of a portion of losses away from the bank, without removing the assets from their balance sheets. By retaining the underlying assets, the banks ensure that their relationships with their debtors are maintained, allowing for continued loan issuance and the possibility of developing other fee generating business. CRTs may be undertaken on a broad range of asset types, though the bank derives the most benefit by structuring them around portfolios of assets that carry high risk weights, typically Small and Medium Enterprise (SME), residential mortgage, trade finance or infrastructure loans. In transferring this exposure, the risk weight applied to the bank holding the portfolio is lowered. These risk weights vary from one asset to the next and are intended to adjust notional exposure to reflect the asset’s risk. Clearly a reduction in the risk weight applied to an asset will reduce the capital that the bank must then post. In doing so, banks’ Core Tier 1 capital ratios are also improved. There are a number of elements that make CRT investing attractive; however, the core component is the high coupon that the bank pays the investor relative to the economic risk of the reference portfolio. Provided that they are structured correctly, these transactions can also be highly resilient to defaults, meaning that investors are well compensated for the economic risk they are taking. CRT investors also benefit from banks retaining skin in the game, and so being incentivised to avoid losses on transactions. Other interesting components of CRTs for investors include gaining exposure to diversified bank credits. CRT investors can benefit from banks’ underwriting expertise and the better service provision, liquidity and market access that they offer their core clients relative to non-bank investors. Direct lending to SMEs is a core business of many European banks, and so investing in CRTs that reference European SMEs allows access to a relatively closed market in partnership with the leading lenders. There are a number of risks associated with investing in CRTs. Below are two of the more significant risks and how they can be mitigated. Credit Risk of Underlying Loans – CRTs provide protection on portfolios of loans and as such, performance is sensitive to defaults, recoveries and the broader economic environment. ‍Mitigant: This can be mitigated via a manager’s in-depth due diligence of a bank’s credit underwriting process and writing transactions on loan portfolios that only represent the core business of the banks. Managers may apply restrictions to the reference portfolio at a sector, geographic or company level, or on credit rating. Banks retaining skin in the game facilitates alignment, while structuring specifics can further protect investors. Counterparty Risk – The risk that the bank defaults and the investor’s funding is non-recoverable. ‍Mitigant: Investor capital is often held in a segregated account and deals can be structured such that funding is moved to a third party should triggers be met (e.g. the bank’s credit rating falls below a pre-determined level). Banks may also provide collateral which the investor may sell should it default. In some jurisdictions, CRT funding is pari-passu to customer deposits, adding further protection. Transacting with Global Systemically Important Banks with low default risk also provides comfort. The strategy currently represents an attractive investment proposition. The opportunity set is strong - banks are under significant pressure to improve capital ratios and to continue to lend. This pressure allows experienced, well-resourced investors to structure transactions with economics in line with a bank’s cost of capital, and well in excess of the coupons generated by the reference portfolio. Risks remain, not least a spike in defaults of the underlying credits, or a bank credit event, and so manager selection is key to ensure that investors are protected against these via structuring expertise. Mark Moloney is a Senior Research Analyst at Absolute Return Partners. 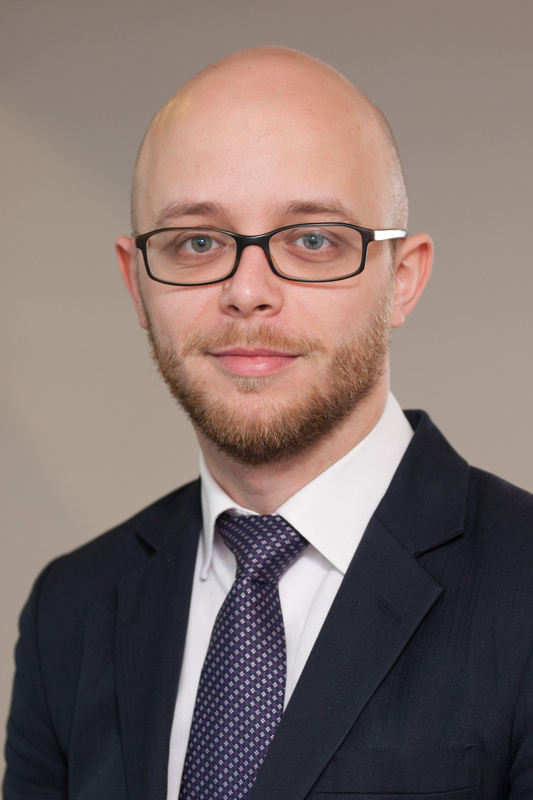 He joined the firm in 2016, having previously worked as an Associate Director in the investment research team at Saguenay Strathmore Capital. He holds a BSc (Hons) in Economics from the University of Bath.